Spring is here, the sun is out and it's time to celebrate the awakening of the earth! After a long cold winter and most likely some hibernating, Spring is the time to come out of hiding and be social. 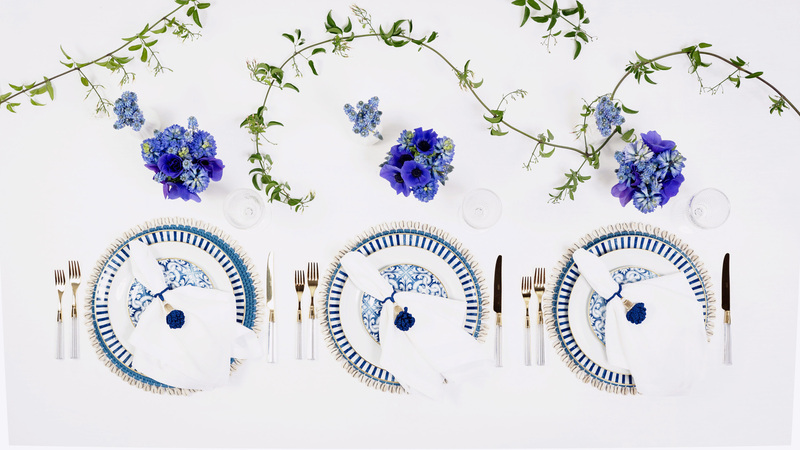 Invite over your friends and family and make Spring the excuse to get together. 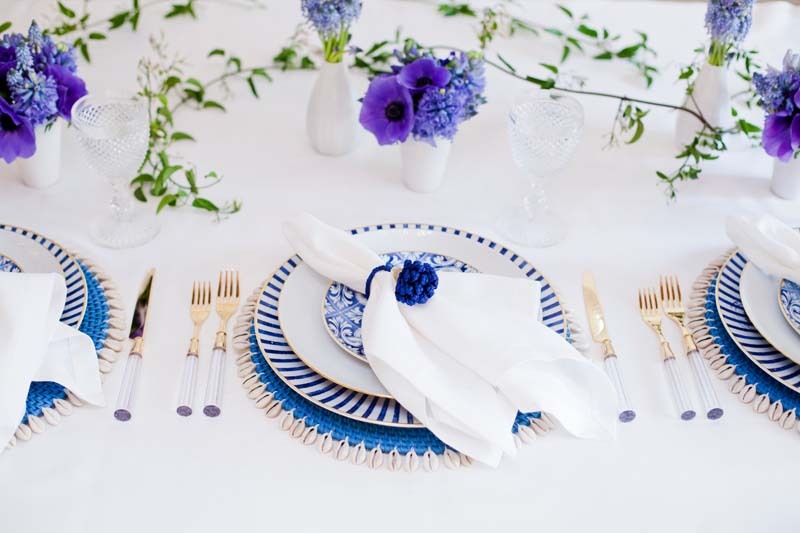 Whether it be a dapper dinner or even just a casual brunch, you don't need an occasion to want to show off your hostess skill and layout a beautiful table to tempt friends, make life your occasion! 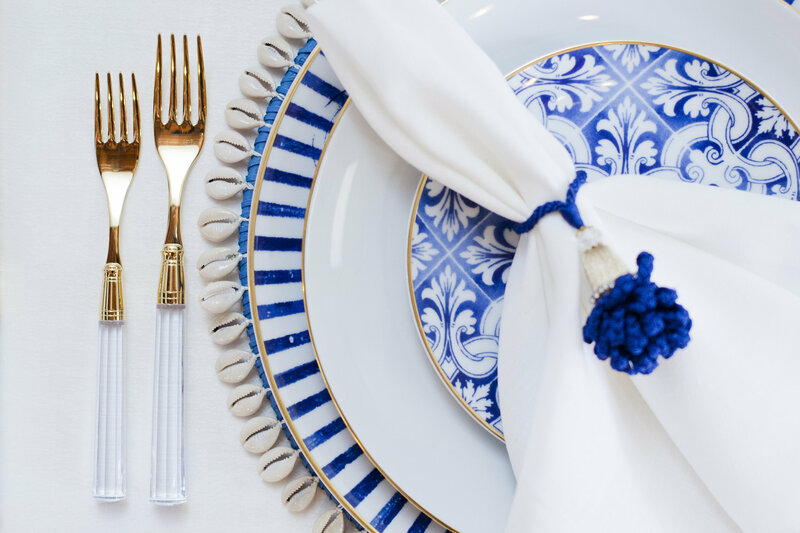 With the Mediterranean summer on our mind, we were inspired by sailboats, blue seas and sunshine when creating this celebration collection. 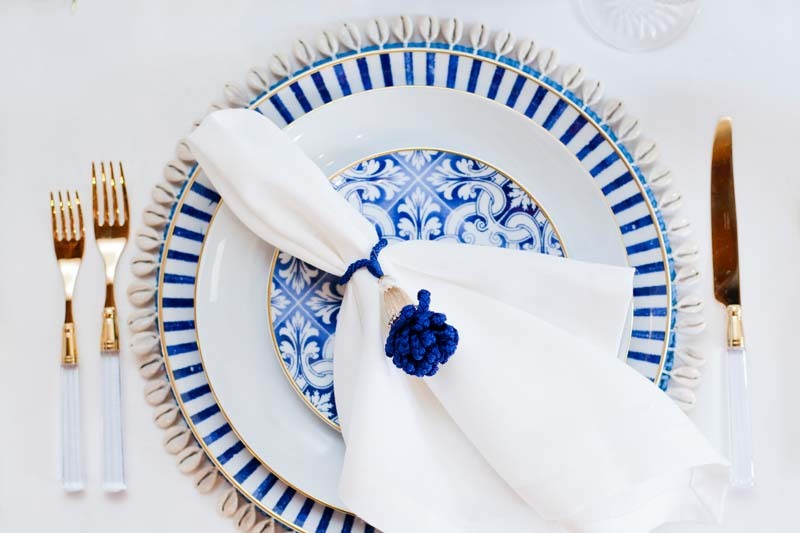 We styled this stunner of a tablesetting by layering the blue and white Transatlantica dinnerware collection on top of the Capiz rattan placemat for a fun beachy twist. 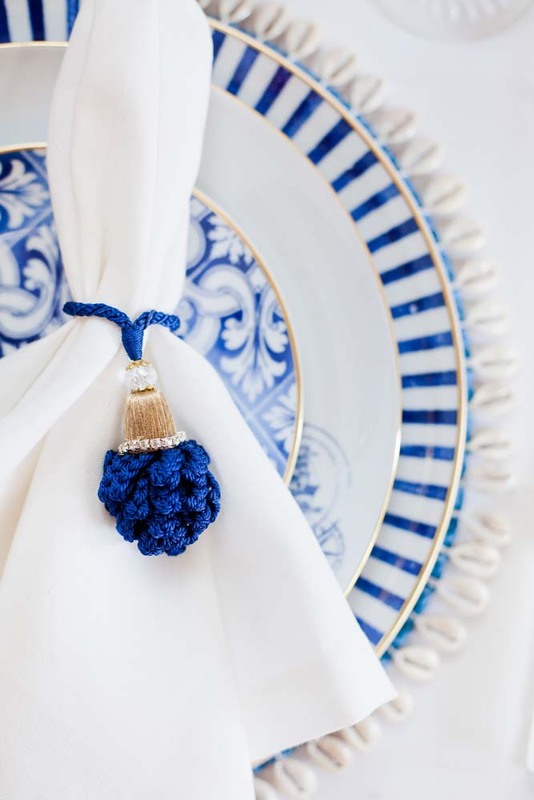 Add in 24k gold Doric flatware made in France by Cap deco for the ultimate luxe touch and finished it off with a crisp classical napkin and Marbella napkin ring for the final polished touch. After all, it's about togetherness and memory making. That is the encouragement we want to provide when offering up celebratory inspiration. 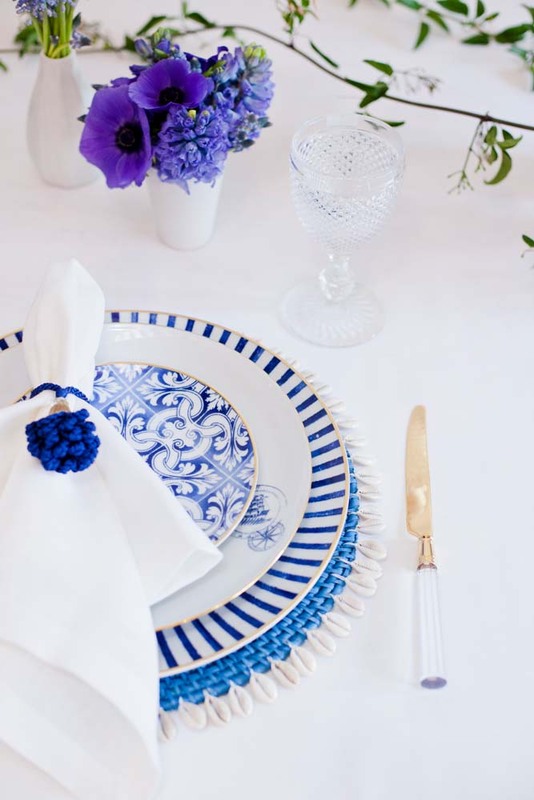 Brunno Jahara, Brazilian designer of our time with international projection, created the Transatlantic dinner set for Vista Alegre, in the year of commemoration of the Year of Portugal in Brazil and of Brazil in Portugal. This new decoration celebrates the union of blood between the two worlds, united by the mighty Atlantic in a unique multicultural interpretation. Sign up for updates and offers and receive 15% OFF your first order with us. Top 18 Haute List Winners! Cool Gift Ideas for Him :: Because He's Rad!